Dalfiya is committed to protecting your privacy. We respect the information you share with us as personal and confidential. Any information we collect from you is strictly for the purpose of processing your order and for communication directly with you. We will not sell any of your information to any third party. We do use the information we collect to notify you about new products or special offers, to measure advertising effectiveness, and we use the Pinterest tag to track customers that make Buyable Pin purchases. If you would like to join our mailing list, please enter your e-mail address in the Newsletter Signup box to the left. If you would rather not receive the Dalfiya newsletter, please send us an e-mail with "unsubscribe" as the subject line. We try our best to keep the content in our website up to date. We do sometimes accept orders for jewelry that we have made to order to your specifications. In some cases, the manufacturers may be unable to produce these pieces. In such a case, any unavailable pieces will be removed from your order and the rest of your order sent. Your order total will be adjusted accordingly and we will issue a credit for the balance. We ship most orders via USPS. Shipping is calculated based on the size of your order, and is free for orders over $50. If your order has been damaged during shipping, please retain and photograph the original packaging for insurance claims purposes. Shipping charges are not refundable for any returns. All returns must be in original condition. Loss of stones, broken prongs or any other damage caused by accident or abuse is not covered. Custom manufactured orders are not returnable. 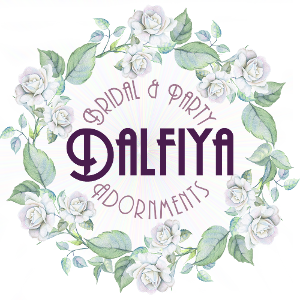 All content on this site is the property of Dalfiya Inc. and is protected by international copyright laws. Customers who have purchased items from this site may use our photos in their own websites or catalogs for resale purposes. Use of our photos for reproduction of our products is strictly prohibited.